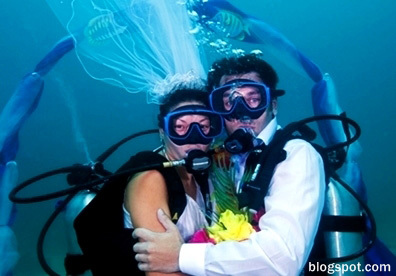 Why choose a destination wedding in Thailand? 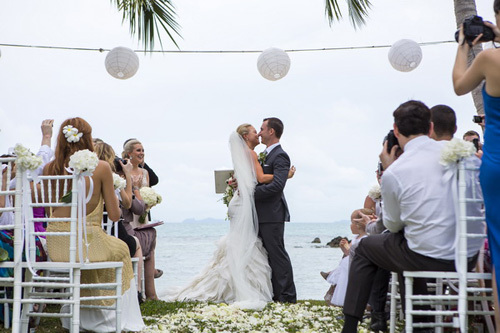 For couples that choose to host their dream wedding on the charming, sun-kissed shores of an island in Thailand, there are plenty of ways to make the celebration one that the bride, groom their family and guests will never forget. Professional agencies like The Signature Weddings offer a full range of personalised planning and event management services. They also have access to a vast portfolio of private villas that provide the ultimate venue for your special day. The range of options available when it comes to the type or theme of wedding the bride and groom wish to hold are limited only by imagination in Thailand. With the help of a professional wedding planner, almost anything is possible when it comes to a totally personalised celebration in paradise. 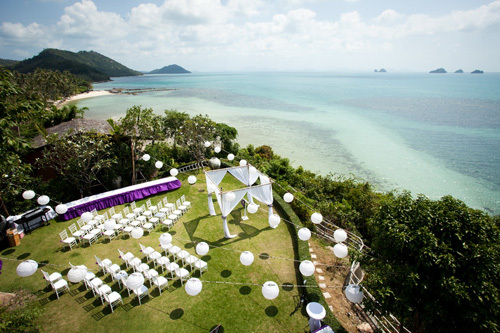 The gentle caress of a cool sea breeze, the coral hues of sunset and the soft feel of sand between your toes are but a few of the pleasures that make beach weddings in Thailand so appealing. Beach weddings are also great for guests with kids as the can run around to their heart’s content and enjoy endless hours of fun with a bucket and spade. A beach is also a breathtaking place for the bride and groom to pose for a sunset photo shoot after they say their “I do’s”. Many couples that decide to tie the knot on one of Thailand’s beaches also incorporate elements of the setting into their wedding décor by adding seaside accessories like shells to the table decorations or the bride’s bouquet. Thailand is home to an impressive selection of top class villas, many of which serve as ideal venues to host private weddings. Couples form around the world opt to live out their island wedding fantasies by renting out a villa with direct access to the beach. However, hillside venues on islands like Phuket and Koh Samui are also becoming increasingly popular with couples that want a little extra privacy for their big day. Stunning villas are sprinkled across Thailand’s tropical islands and most offer dramatic views of the coastal scenery to complement the sophisticated facilities. This makes them particularly appealing to couples seeking stand out wedding photographs and videos. While many couples still prefer to have a traditional Western white wedding ceremony, even in Thailand, an increasing number also choose to blend in a few Thai wedding traditions on their big day. Throughout the Kingdom of Thailand, special events kick off with a long drum procession, and weddings are no exception. The vibrant long drum parade usually includes drummers and dancers clad in a vivid rainbow of traditional Thai costumes. Couples can also incorporate Buddhist elements into their wedding ceremonies. Usually, a Thai wedding ceremony is performed by an odd number of monks dressed in saffron coloured robes. The monks chant and say prayers whilst a floating candle is placed in a bowl of water, which is later used later to bless the newlyweds with splashes of good luck. For couples experiencing a few twinges of guilt over their carbon footprint after jetting thousands of miles to get married, there are plenty of ways to include a few eco-conscious elements into a wedding celebration in Thailand. One approach is to replace paper confetti with fresh flower petals. Popular wedding destinations like Phuket and Koh Samui are home to a number great value florists who can prepare an eco-friendly, romantic flourish for your wedding. 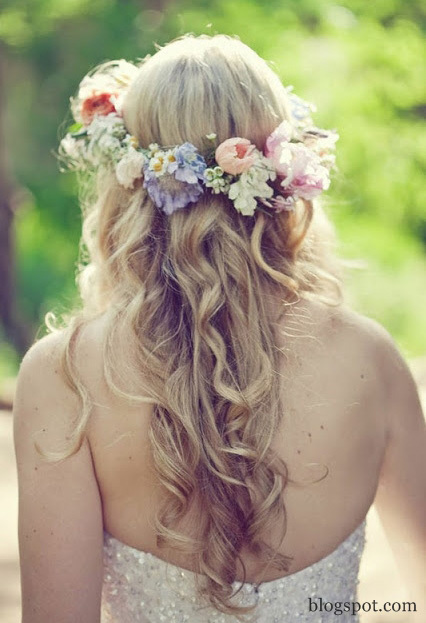 Flower crowns are also popular with boho brides that would rather be natural, and not waste money on an expensive veil that will never be worn again. Another way to reduce waste at your villa wedding is to double up colourful cupcakes as party favours, decorations and place settings. The colour of the cupcakes can also be tailored to match the décor theme of the whole wedding. Many couples and their wedding guests also choose to make the most of their trip to Thailand by tying in a honeymoon or holiday at the same time.For adventurous travellers, islands like Phuket and Koh Samui are packed with exciting activities to keep the vacation fun and the adrenaline racing. The Thai island’s are famous for their crystalline waters and colourful offshore reefs, which makes snorkelling and Scuba Diving both very popular choices for visitors. Day trips to nearby islands are easily arranged and couples can even charter a private speedboat to take them and their wedding party on an underwater adventure. Exploring Thailand’s islands on the back of an ATV (All Terrain Vehicle) is becoming increasingly popular and visitors can enjoy the best of Thailand’s natural scenery as they explore the nooks and crannies of its narrow, winding jungle paths on a quad bike. Paintball is also popular in Thailand, and a great activity for couples throwing their stag/hen party in the Kingdom as well. Truly adventurous couples can even opt to take a leap of faith by facing the challenge of a bungee jump together.